​You are a bad, bad man, Giancarlo. 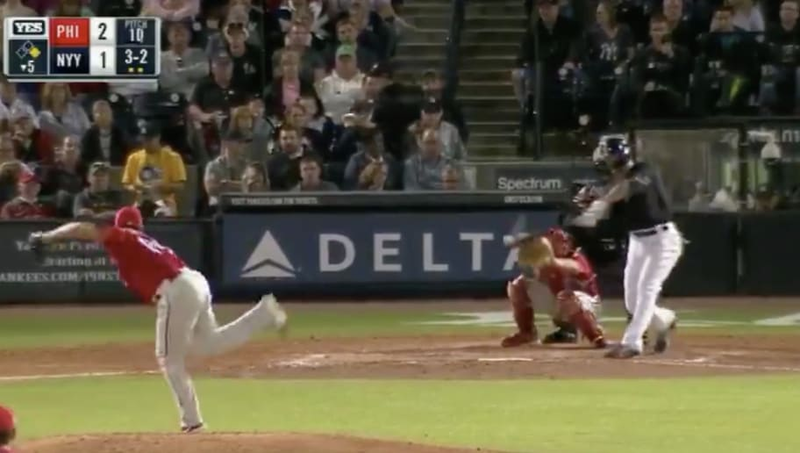 We don't know what the Philadelphia Phillies did to deserve this, but it must have been egregious; how else do you explain the punishment the Yankee slugger is dishing out tonight for the ​Yankees at Spring Training? Yes, that's ​the second home run of the evening for Giancarlo Stanton, who has probably racked up enough frequent flyer miles in this game alone to qualify for a free weekend getaway in business class. It's over, Philly. If you're going to stem this tide and get your lead back from the Pinstripes, you may need to sign a few more Bryce Harpers.